Besides the large amount of attractions and activities in Berlin, an afternoon of shopping is normally also part of the programm. Shopping in a foreign country is great because there are different brands, shops and prices. In the article about the best shopping street in Berlin, you could already read that the capital of Germany has enough to offer when it comes to shopping. However, there is still a location a bit further outside the city where you can find great bargains and sale: The designer outlet Spandau. 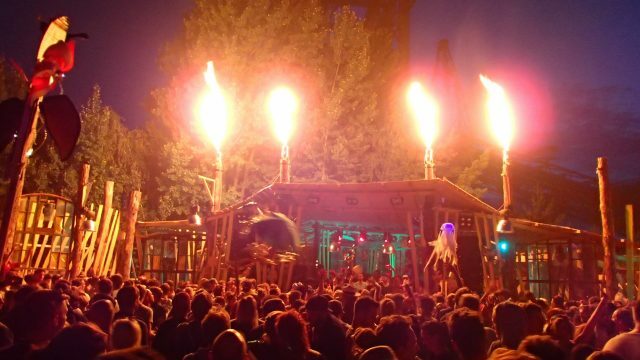 Quite often we receive comments on this blog of people who are looking for sale in Berlin. We all love buying expensive brands and products for a lower price. In the normal shopping areas in Berlin, you can find sales two times a year: When the summer is over (September) and when the winter comes to an end (January/February). But if you looking for sale all year long, the outlet in Spandau might be just the place for you. 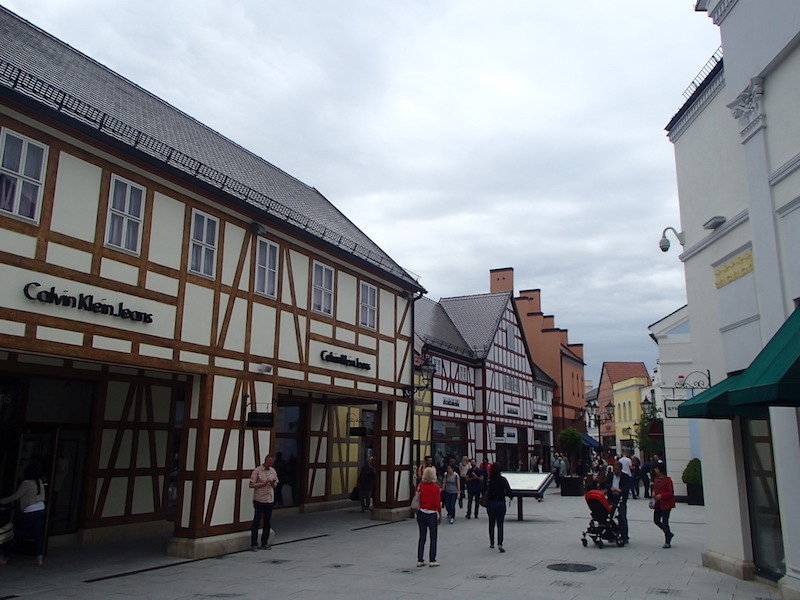 The designer outlet in Spandau is like a small city full with shops instead of houses. All the famous brands have their own shop here and the best thing is that you will only find products on sale here. 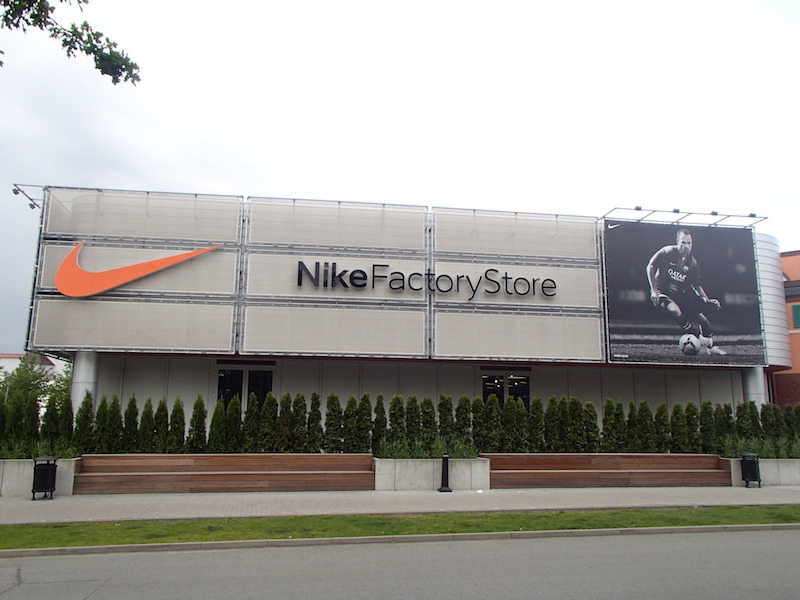 The brands offer previous collections or products which cannot be sold in normal stores for whatever reason. The sale mostly starts around 30% but can go up to 70%. Because all the large brands are represented in the designer outlet Spandau, you will have a great afternoon i f you love shopping. In total you can expect more than 100 different shops in this outlet in Berlin. 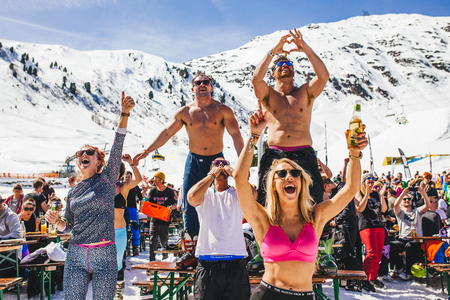 From sportbrands like Nike, Adidas and Puma to more fashionable brands like Superdry, Mexx, Diesel and Timberland. Besides clothing you can also find other products in this outlet: Häagen Dasz, Home&Cook, Rituals and Lindt can also be bought with great discounts. 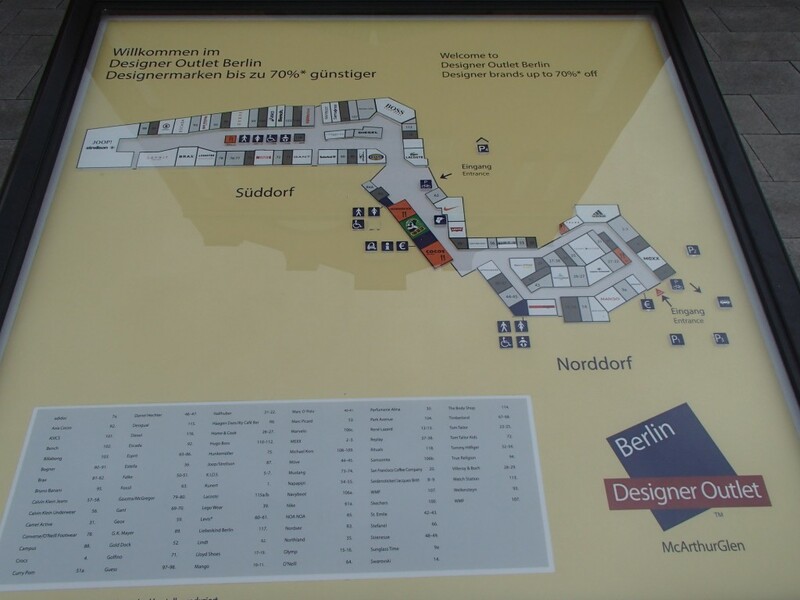 If you want to see a full list of shops in the designer outlet Spandau, you can click here. Car or Bus to Spandau? Probably you got the message: If you are looking for sale in Berlin, the outlet in Spandau will satisfy your needs. The only small problem could be that the outlet is located about 30km from Alexanderplatz. That is why it is most easy to reach the outlet by car. But if you do not have a car, you can also reach the outlet by bus: The bus A05 is leaving from station Zoologischer Garten and drops you off in front of the outlet Spandau. If you want to get more information about the driving-schedule of bus A05, you can check this link. The opening-hours of the outlet in Spandau are from 10.00 – 20.00. 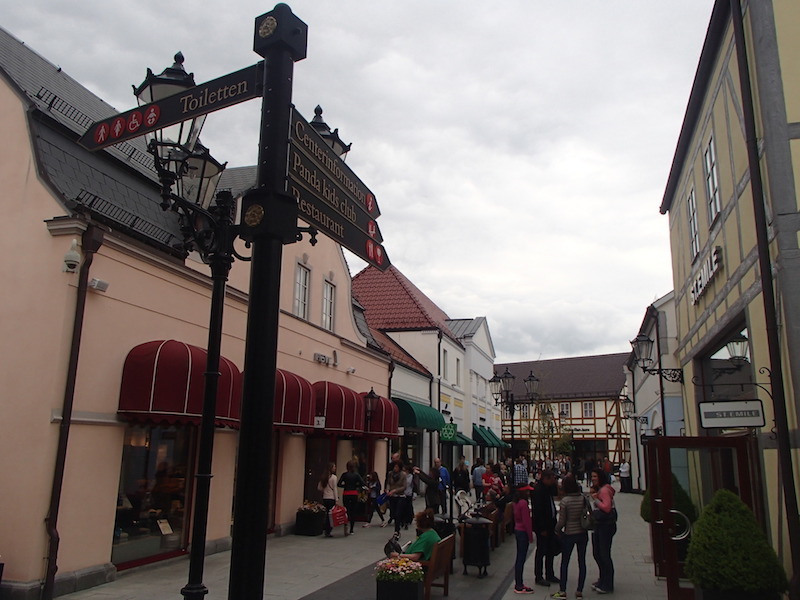 This means that you can also visit the shopping-center after a day of sightseeing (if you still have the energy). Unfortunately the outlet is closed on Sundays so then you have to find your sale in Berlin somewhere else. The entrance is free (obviously) and also the parking does not cost anything. 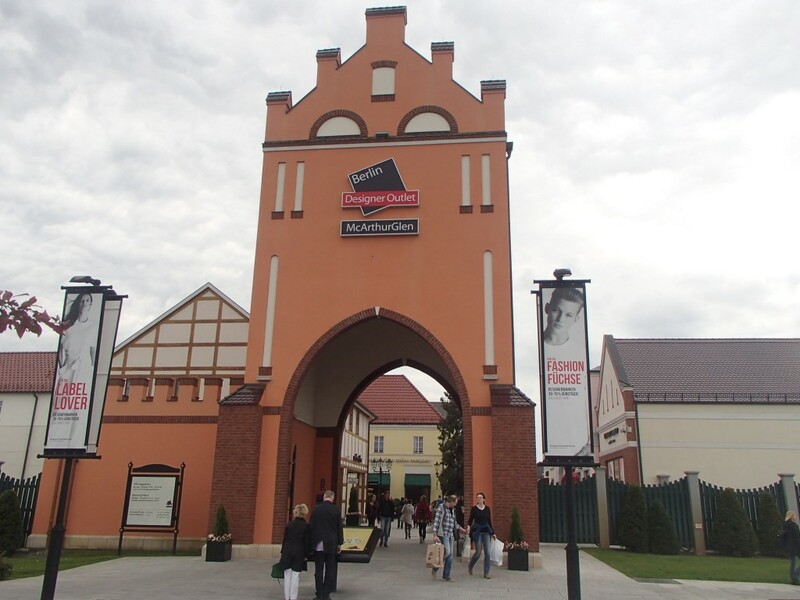 Personally I really enjoyed the designer outlet Spandau and found some great bargains there. Which ticket is required to go there by bus? Does it come in C zone? Yes, it should normally be zone C. But in the bus you can always ask the driver and pay over there if you want to be sure. How far is the Spandau outlet from Gendarmenmarkt? We will be visiting in August for just half a day in Berlin (by cruise), so time is quite limited. You will not have enough time to go there. I would suggest you visit one of the Shopping-Areas in Berlin in our article.